Lost Theory Records is proud to present the debut album of PHOBOS AZAZEL. He's no stranger in the international scene and has released numerous tracks on labels like Bhooteshwara, Manic Dragon, Tantrumm, Temple Twisters, Moon Koradji, Psylife Music and many more..
"Organistic" takes us through a brain twisting journey! This album is showing us that he matured through the years into a very talented artist. Keep your ears and eyes open because you don't want to miss this! So less comments about such a great release. Full support to the label, hope the upcoming album will bring a great vibes! Full support for the label and artist!! Any info about the release? Slavyan wrote: Any info about the release? Now waiting for an opportunity to listen! Unfortunately with some delay but it was worth waiting!! Support the label and artist and get your copy !! 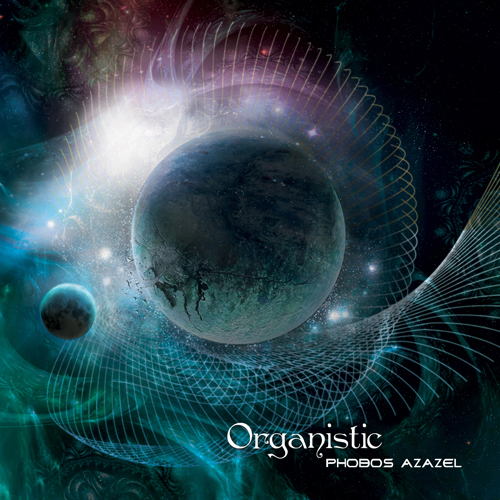 The musician change his common style in the first part of the album to something like night psytrance. For me that 1st half was something like an intro to the main stage which began from the 4th track and keep on growing to the last one. I like the dark side of his sound most of all and i find his work on it as the most unique and interesting. The track on VA Magnum Opus on Tantrumm records in 2008 showed it great. IMHO it was his the most serious and deep work. As for this album, i will listen it again and again soon. I find it cool but this sound is a bit not what i've been expected, so i have to make a good set'n'setting and experience it better. Then i'll do a better review!